Just like older siblings - now the little ones can drive along! 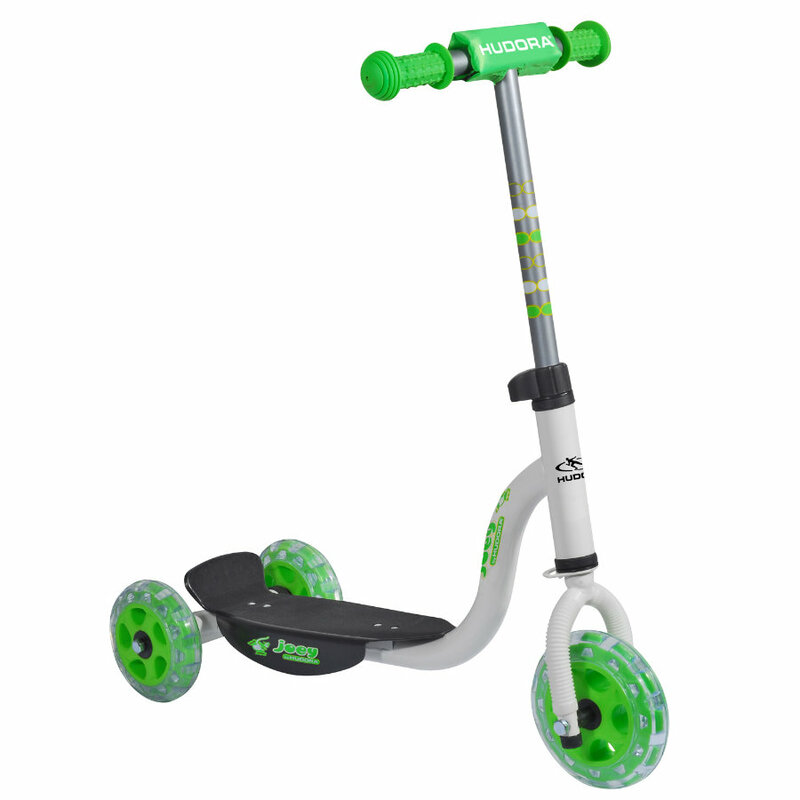 The grey and neon-green Kiddyscooter comes with neon-green transparent wheels. It is a scooter for the youngest: beginners playfully learn to maintain their balance, as the scooter has two rear wheels. This makes starting easy and fun. You won’t have to wait long for adventure - isn’t such a scooter wonderful?! The platform has skid-reducing coating for safer stance of small feet.